WOW!! This beautifully updated and meticulously cared for Lakefront 2 bedroom, 2 1/2 bath town home(NOT IN THE FLOOD ZONE!!!) is looking for a new owner! Granite counters, solid wood cabinetry and stainless appliances in the kitchen. Gorgeous wood flooring throughout the first floor of this 2 story unit. Upstairs you'll find 2 bedrooms, each with it's own full private bathroom. Master bath has been updated with granite counter and wood cabinetry. Brick pavers on the screened, enclosed lanai and additional outdoor space for your grill and garden!...and plenty of extra storage space for golf clubs, bikes and holiday decorations. Fish in Lake Rio or take in the view and all of the songs of nature from the second floor balcony with coffee in the morning! Just steps to the community pool. Walk or bike to Deep Creek Golf Course. Low HOA fees make Lake Rio Town Homes a sought after community. Truly a Florida oasis! 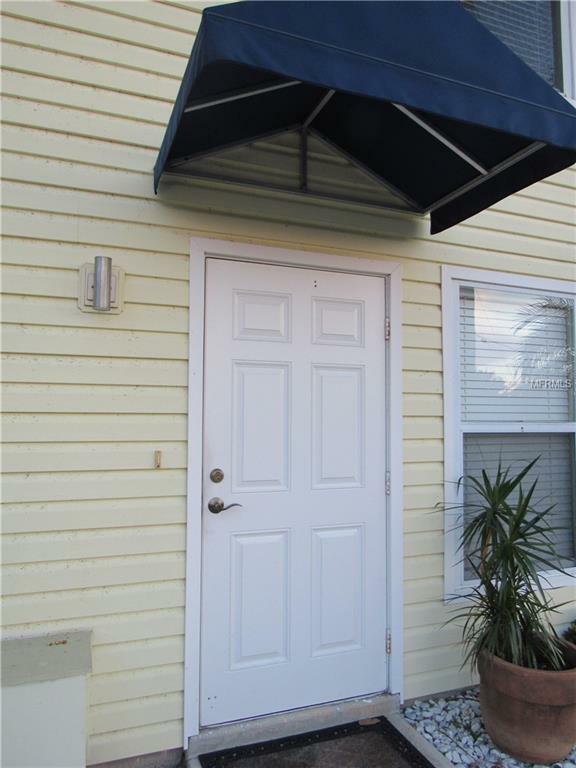 Perfect for Snowbirds or year-round residents. Not in the Flood Zone. Make your appointment to view this lovely unit today! Additional Water Information No Power Boats Allowed...Canoe Kayak Or inflatable Boats Only.